I know I'm posting a lot at the moment but I just checked the release date on this gem and it's TODAY in the US and I wanted to make sure that I helped spread the word about this fantastic new YA novel. 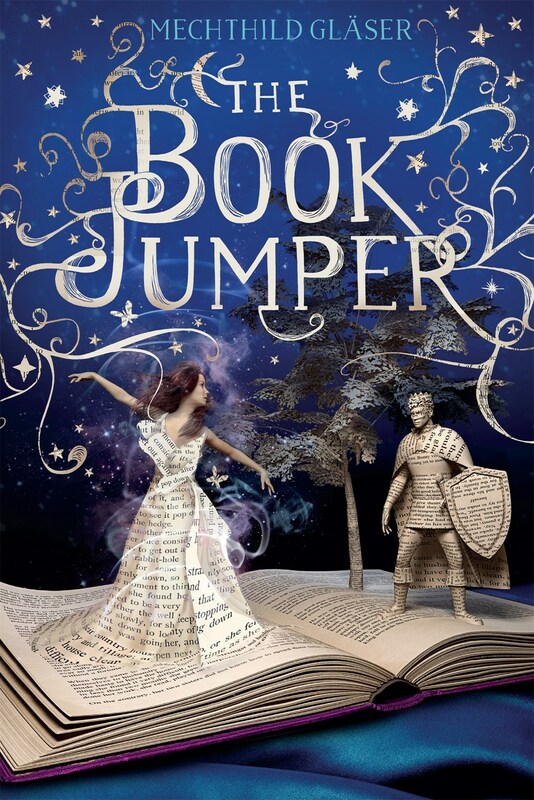 When I needed a book to get me happily reading again in early December, I spotted Mechthild Gläser's The Book Jumper on my review stack and couldn't resist the beautiful cover and intriguing title. Well, the premise is exactly what you might think it would be. Amy Lennox and her mother have had some tough times in Germany and so they retreat to the family estate on the island of Stormsay, a fictional Shetland Island off the coast of Scotland. What Amy doesn't know before going is that both the Lennox family and the other ancient family on the island, the Macalisters, while teens, can enter the book world and they have charged themselves with maintaining order and the integrity of the stories. Amy's grandmother sends her right off to book jumping lessons which she takes to immediately. 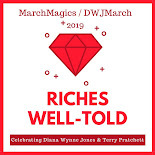 At these lessons, she meets Betsy and Will Macalister and they all get involved in a mystery that is emerging both on the island and in the world of fiction. Who is stealing ideas and items from stories and why did the thief kill Sherlock Holmes? 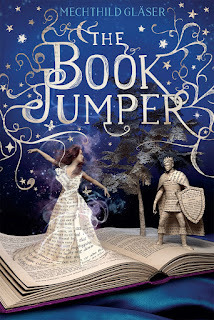 Though you might be familiar with the idea of book jumping from Jasper Fforde's stellar Thursday Next series, its use in this story still feels fresh and unique. Amy is a girl damaged by bullying and she is more than ready to escape into fiction. The book world is fun for her but quickly becomes dangerous, just as the happenings in the real world become more mysterious and unexpected. It's a fantasy YA that still explores some very real issues. I enjoyed just about everything about this book even though parts were bittersweet. I hope that more readers fall in love with it the way I have! I wasn't sure if I should mention it because I didn't want it to sound like it's derivative but now I'm glad I did too! It definitely made me want to reread Fforde's books again too because it's one of my favorite concepts ever!